How do I use simple integer numbering for subsections? I want to use a list of \subsection elements numbered "1", "2", "3", "4"... but by default they're numbered "0.1", "0.2", "0.3", "0.4". The chngcntr package provides a similar mechanism for removing counter dependencies. For more on this kind of manipulation, see Continuous v. per-chapter/section numbering of figures, tables, and other document elements. Not the answer you're looking for? Browse other questions tagged sectioning numbering or ask your own question. 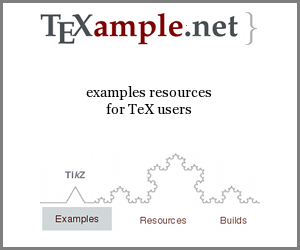 Is there any incompatibility between \section* and \numberwithin? How to reset counter for un-numbered subsections? 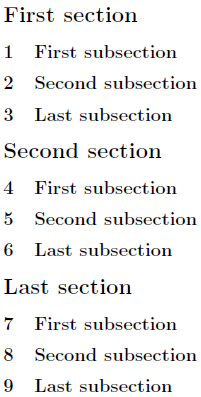 Why does subsection counter not reset in appendix? How can I change the starting number for figures?